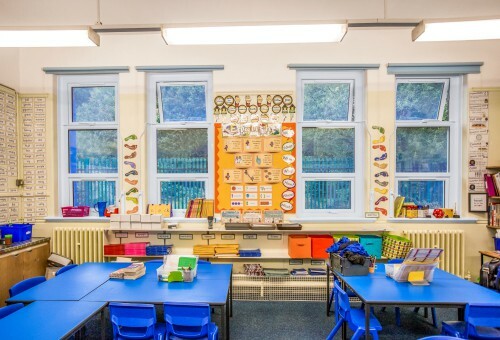 Crimeshield is an industry accredited crime prevention solution for all kinds of properties requiring discreet but durable window protection against vandalism. 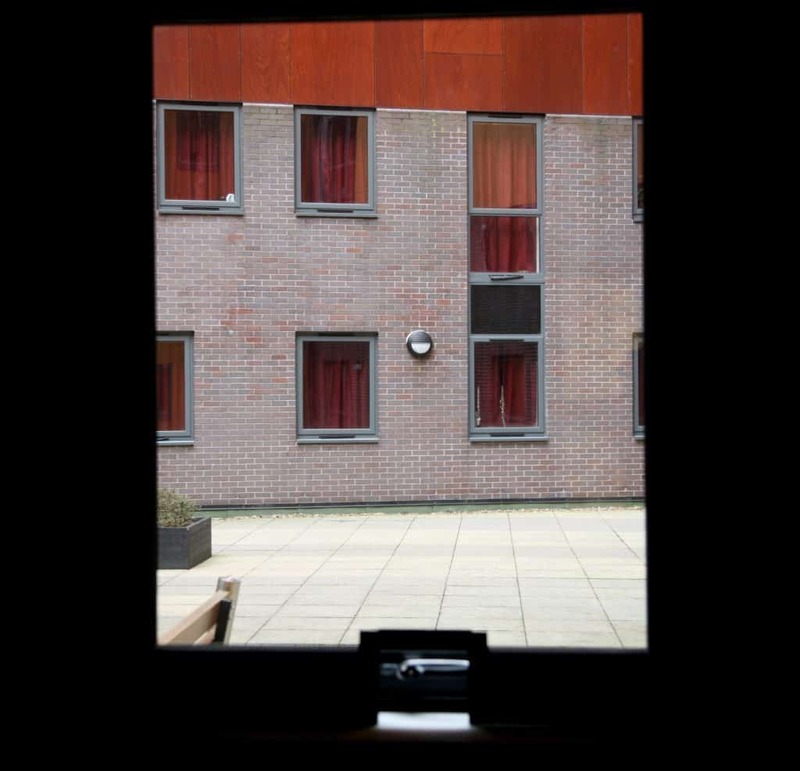 It consists of a sturdy, perforated metal screen, which gives the impression that windows are fitted with tinted glass from a distance but at close quarters it is a visible deterrent to prospective thieves and vandals. 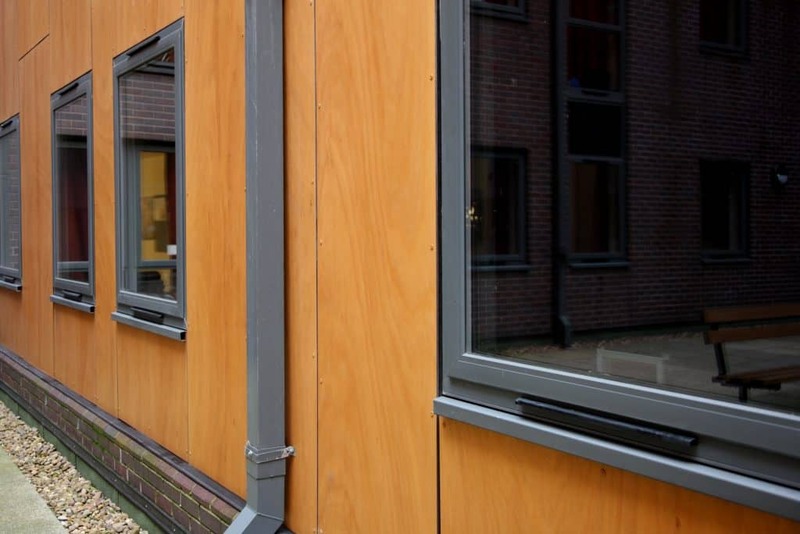 The frames are available in a variety of colours to complement existing window and door frames. 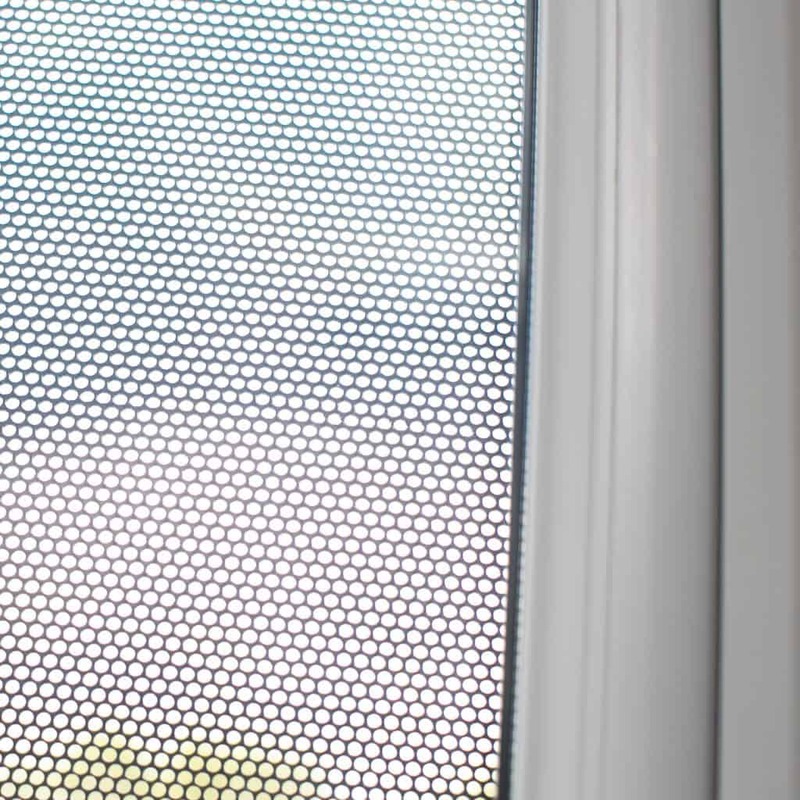 The window security grille allows over 60% of natural light to enter the building, enabling good visibility indoors. 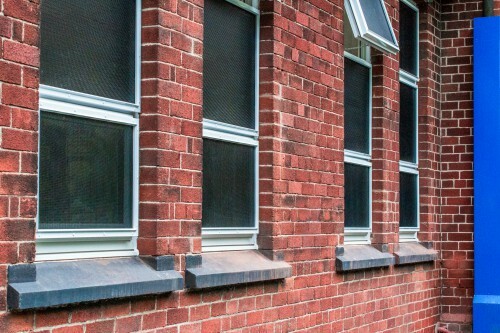 The grilles are available in a variety of colours to complement existing windows and doors with frames. 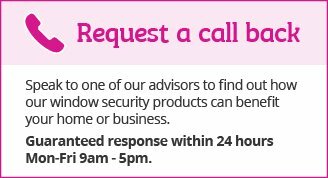 Crimeshield has been fitted in a variety of locations including offices, factories, supermarkets, shops and places of worship. 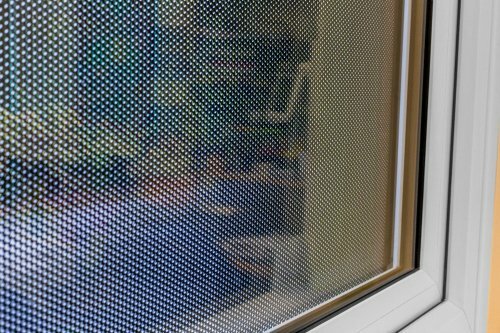 Crimeshield’s perforated screen protects the window against blows, rocks or even air gun pellets. 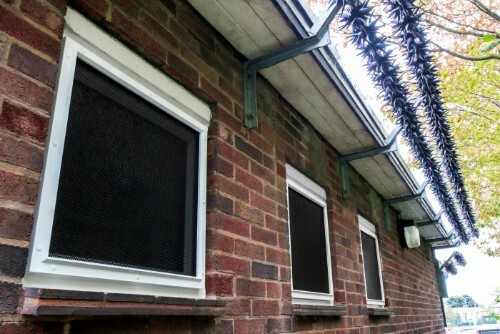 The durable, metal screen is mounted in front or behind existing windows and the fixings are neatly recessed within the frame and finished with a cap. 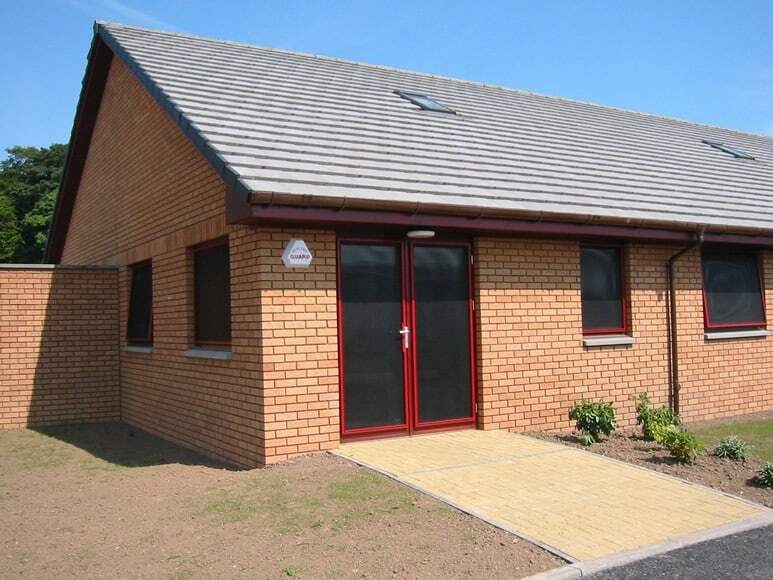 Each shield is manufactured to customer requirements and can be made to most shapes and sizes. 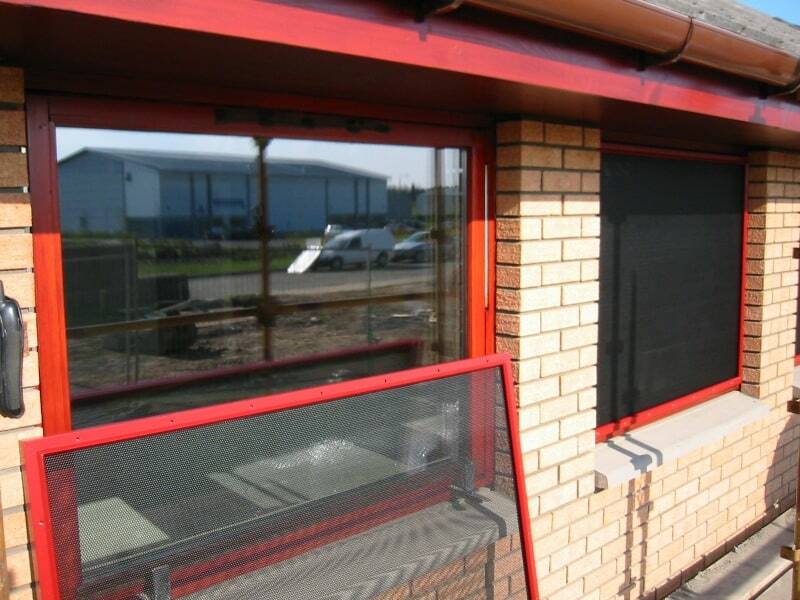 They can be fitted onto each individual pane of glass, whilst maintaining full usage of opening windows. 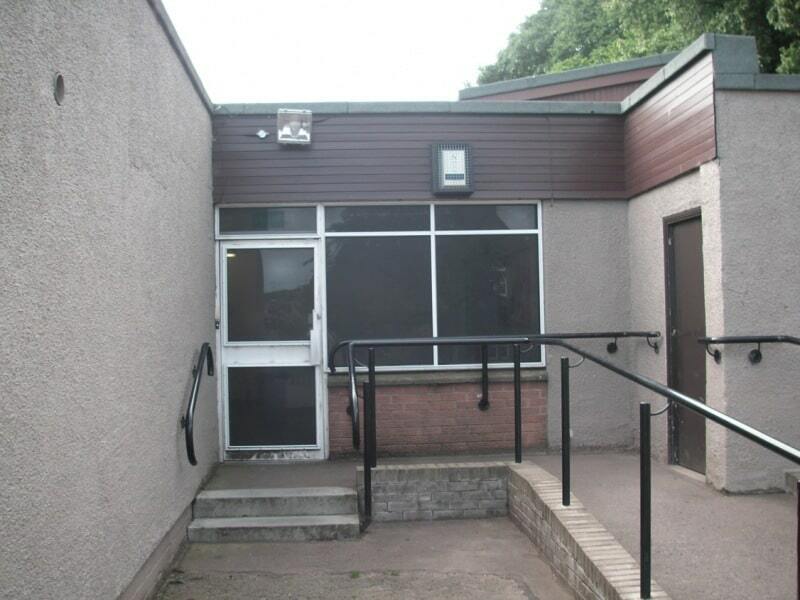 Discreet & unobtrusive window protection. 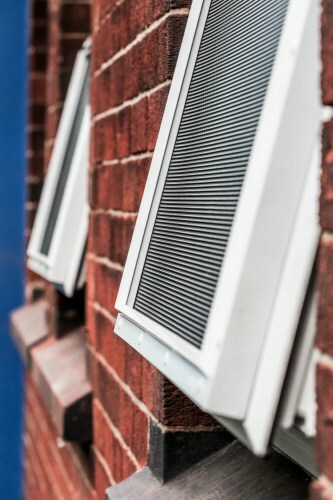 No unsightly bars or opaque grills. Gives the impression of tinted glass. 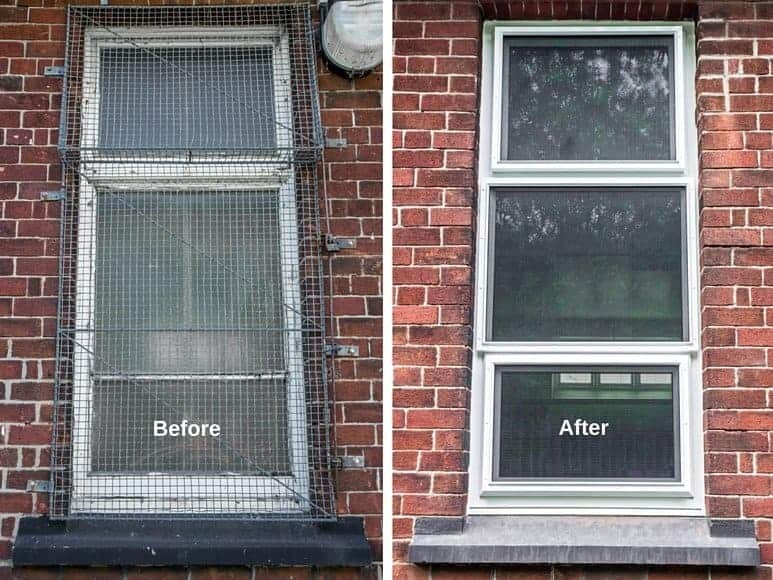 Cost effective alternative to re-glazing.